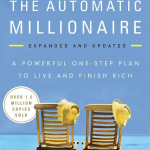 The Automatic Millionaire Review - One-Step Plan? Which brings us to the next concept Bach has popularized, the “Latte Factor”. The message he wants to relay is that most people can easily set aside small amounts of money everyday for retirement and investments simply by cutting out small and mindless expenses of everyday life like a latte. From here on out the book just tries to apply the concept to different aspects of financial life, such as buying a house, being debt free, and building an emergency fund. The automatic portion of the whole philosophy refers to setting up automatic deductions from your checking account to various other accounts, each one relative to your individual goal. Now that we covered the most important takeaways from the book, let’s delve into my main criticisms about it and a mix of things I liked and didn’t like. ==>First of all, let me say that the concept of using your money to work for you, in other words, invest them, is indeed sound. That being said, that’s the only valuable takeaway and it’s not even original. 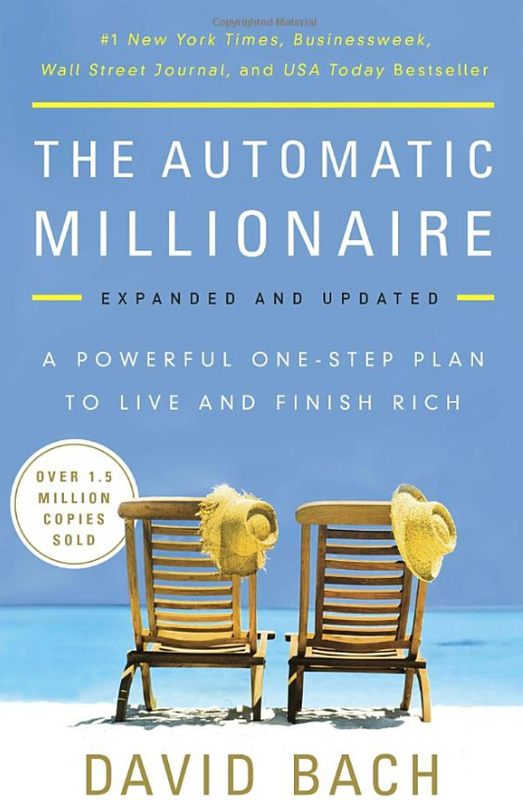 For people who have read their share of financial books/advice, the Automatic Millionaire has nothing more to offer. However, if someone is just starting out in the world of investing and managing their finances, it certainly can help by giving them a lesson of the basics. ==>Another part of the book I didn’t like is that it was full of fluff. Most of these coaches and speakers have the tendency to do the same thing in their books, seminars, and material in general. They inject them full with stories of shiny examples from their seminars and media appearances. I like stories yes. But reading non-fiction books full of inflated stories of people I don’t even know brings little quality to the book. They mainly do it to make their books lengthier. Who would buy a book that’s only 50 pages? But a 240-page book with only 50 pages of substance? You don’t know that so you end up actually buying such a book. ==>One more big problem of the book is the misleading math it uses to “prove” its concepts. First of all, the pay yourself formula. Everyone talks about compound interest but no one mentions inflation. What I mean by that is that 2 million dollars after 40 years won’t have the same value they have now. I’m not saying that this one is breaking the whole concept of investing, but it’s something people should at least consider when they are preaching this formula for wealth. That being said, your investments even after inflation will probably be substantial. Continuing with the misleading math, when Bach talks about 401(k)s he states that their gains are not taxable when actually they are. I don’t want to go into too much detail and bore you out of your minds here, but this false assumption changes the whole math that David presents. Not only that but the fact that tax rates are likely to go up in the future, makes his suggestion to invest in 401(k)s before taxes a risky one. ==>Something I hate as well is that people don’t take into account the correlation vs causation possibility when they make their arguments. What if instead of a causing b, it’s just that a happens because of b? Bach states that people that are richer invest a bigger percentage of their income. His argument is that they are rich because they do that. However, what if they just invest more because they have more money to invest? Again, I’m not trying to bash the idea of investing, but confusing correlation with causation and making arguments based on a false ground like that is something that may prove to be dangerous because it leads to false conclusions. ==>I also want to share my ideas on the latte factor. Is it really worth it to forgo your daily coffee in order to invest it? Well, I personally believe the concept to be ridiculous. I believe that we should live life in the present. With this I mean that if your coffee is a part of your life that makes you happy, no, don’t cut it. However, I believe you should do something else. First of all, track your expenses. That’s something Bach suggests and it’s a really helpful habit that can lead to numerous aha moments. Then, be sure to reduce idiotic expenses and expenses that don’t bring value to your life. If something actually adds to your life, don’t feel the need to subtract it. I know Bach probably meant the latte to be an example, but I love my daily cup of coffee so I was certainly offended :P.
==>I didn’t completely hate the Automatic Millionaire. I especially like the automatic concept. It’s really psychologically powerful. I may not agree with Bach in all its applications, but getting willpower out of the equation is a wise step to take. ==>Furthermore, the idea of having an emergency fund is sound. ==>Also, Bach’s suggestions for people that are into credit card debt seem to have been helpful for many, so I have to mention them. ==>Lastly, the concept of giving back doesn’t really excite me. I don’t mean to offend here. Giving back to people who have needs and helping those in need is important. However, I believe that most people who have made a lot of money just do it to make themselves feel better. There are ways to contribute to the greater good even before you become a millionaire, supposing you are not lazy about it. All in all, I wasn’t that excited by the Automatic Millionaire. It rehashes financial topics most of which are sound but offers nothing groundbreaking and it’s full of fluff. Moreover, a lot of the math behind the arguments is pseudoscience. If you are a complete newbie or need a method to become free of credit card debt you will find value. Otherwise, you are better off to skip it. I can’t tell you how to become an automatic millionaire overnight. However, many people have become millionaires through internet and affiliate marketing. In fact, once successful you can make the model pretty passive. The place that has taught me about internet and affiliate marketing is Wealthy Affiliate, and it’s actually free to join and check it out. If you are not afraid to take more than one step to become an automatic millionaire (there’s hard work involved, just a heads up), then be sure to read my review of the platform. I hope today’s review of the Automatic Millionaire actually shed some light on your questions about it. I would love your feedback in the comment section below. 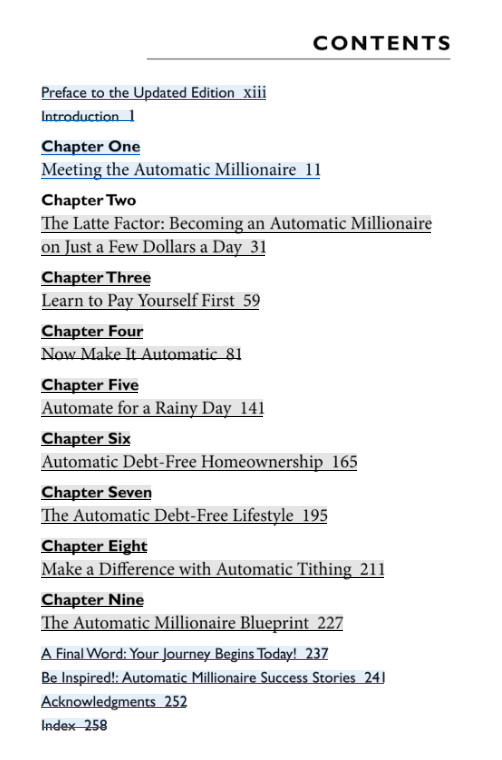 Have you read the Automatic Millionaire? Do you agree or disagree with my points? If you fancied today’s review I would love it if you liked it and shared it using the buttons below. As someone who lives paycheck to paycheck, I agree with you that this is a hard concept to follow. I don’t drink lattes but I do have my tiny little budget for the things that make me happy day-to-day. If I cut these out so I can have money when I retire, what is the point of living. Anyone can give the advice to invest, but if we had the ability to invest we’d already be doing that. It doesn’t sound like a super helpful but for anyone in my position. I appreciate the review. Great review! It seems like owner of The Automatic Millionaire have created something with no value and too much BS. By slapping the word “millionaire” onto their e-book they attract enough people to purchase it and make enough to profit. Personally I wouldn’t be getting this e-book for the simple reason that I don’t want to wait until I’m 65 to make a million dollars. Thanks a lot. Glad you liked it! Well, it’s no pure BS but I do believe the substance is thin. You are right about catchy words like millionaire. They sell so guys use them. I also don’t want to wait until 65 to live the life I truly want. Same here! Thank you for the in depth review. I had been debating purchasing this book but was worried it might be just a simple strategy I could find online pretty much anywhere, it seems that’s the case. I also agree that people always confuse correlation with causation and it is incredibly frustrating, it is unfortunate this kind of information is disseminated and sold to unsuspecting customers. Happy it was helpful. It really is simplistic concepts full of fluff to make it look like something worth the ten dollars more than it actually is. I hate the correlation vs causation problem as well. They are presented as facts to sell you on the validity of their method.